SACRAMENTO, Calif. (CN) –A courthouse building boom is on the horizon in California after Gov. Jerry Brown and lawmakers preliminarily approved funding for 10 projects, including $460 million for a long-awaited project in Sacramento County. State Senate and Assembly committees approved the courthouse funding framework late Friday, hours after striking a tentative agreement with Brown. The agreement, which must still be signed off on by the Legislature later this week, authorizes $1.3 billion in lease revenue bonds to spur new projects. “This final authorization marks the conclusion of herculean efforts by a series of judges, Mayor Darrell Steinberg, other local elected officials and executive staff working toward this goal over the last decade,” De Alba said in a statement. Exact details of how the $1.3 billion will be split between projects in counties besides Sacramento and Lassen were not immediately available Monday night. 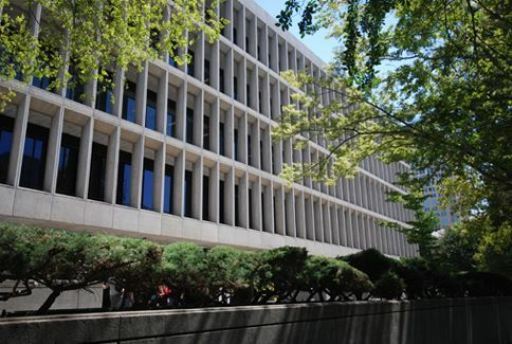 The long-awaited 53-courtroom combined criminal and civil courthouse will be built in downtown Sacramento, just blocks from the existing but dilapidated Gordon D. Schaber Courthouse. The project carries an estimated $489 million price tag and encompasses 538,000 total square feet. De Alba said the court expects to quickly sign an agreement with a contractor and that construction could start as early as fall of 2019, with occupancy of the new digs in early 2023. “Thank you to Gov. Brown and the California State Legislature for including $460 million in the budget to fully fund a new courthouse,” tweeted Sacramento Mayor Darrell Steinberg. According to the agreement, $8.4 million will also be dedicated to a Lassen County courthouse project. Once approved by the state Senate and Assembly, Brown has 12 business days to ink the budget agreement.